NMIMS Distance Learning Admission Notification 2019: NMIMS Global Access – School for Continuing Education, Mumbai, formerly known as School of Distance Learning is inviting application for admission into its various distance learning management programs including MBA (PGDBM) 2017. All the programs are approved by joint committee of UGC-AICTE-DEC. The school has its facilitation centers across India. The school offers to learn through self-instructional study material & personal contact programs. 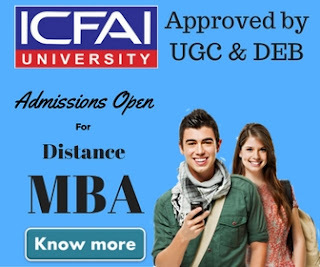 Bachelors Degree in any discipline from any recognized University or equivalent degree recognized by Association of Indian Universities (AIU) OR H.S.C plus 3 years Diploma recognized by AICTE OR S.S.C plus 3 years Diploma recognized by AICTE and 3 years work experience. OR S.S.C plus 6 years of work experience. 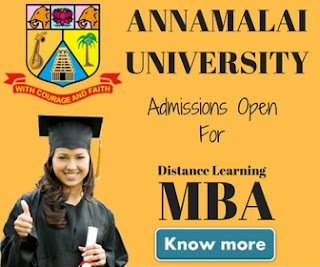 Bachelors Degree in any discipline from any recognized University or equivalent degree recognized by Association of Indian Universities (AIU) with minimum 50% marks at Graduation Level. OR Bachelors Degree in any discipline from any recognized University or equivalent degree recognized by Association of Indian Universities (AIU) with minimum 2 years of work experience. PG Programme : 1st year - 34,000 | 2nd Year - 33,000. Admission Processing Fee Rs. 1000/- additional. Examination fees Rs 500/- per subject/per course. Personal Contact Programme (PCPs) Rs 250/- per subject/per course. Registration for Orientation Programme will be online via www.nmims.edu from 11th February 2019 to 15th February 2019 – till 5.00 p.m. only.